Is this the next big thing. Save more power, less installation costs. A simple cat 5 cable to power and control your lighting, sure seems like a good idea. Step back and we need to set some boundaries. Who specifies the installation of the lighting, it is no longer in the realms of electrical engineers. Is it now your IT provider, who may have no knowledge of lighting principles. What happens if the system goes wrong? Will we get lots of cat 5 cables slung over a suspended ceiling, who installs the cables for suspended fittings, Do we get better Cat 5 cables for exterior use. The idea of Ethernet Lighting is sound. Lets do the ground work first and get the right things in place. LED lighting is helping buildings around the world slash their electricity bills because the amount of energy needed to run LEDs is so much lower than that consumed by traditional forms of lighting. But lower energy consumption isn’t just about saving money and being kind to the environment. It’s starting to demonstrate other benefits too. The electrical load of LED sources is now so low that you don’t even need mains cables to power them – you can use standard network cables, so it’s easier and cheaper to connect and control your lights. 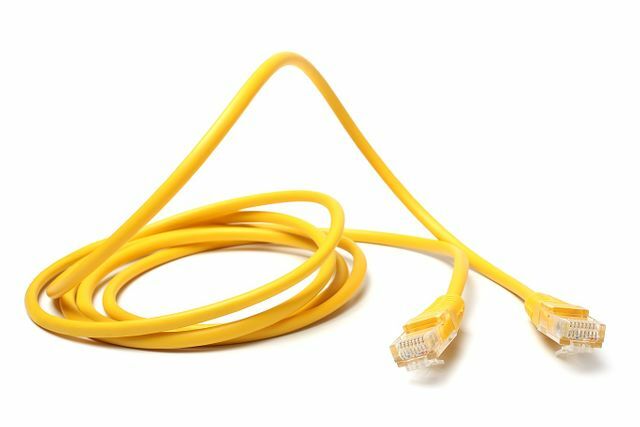 This technology is called ‘power over Ethernet’ (PoE) and, as the name suggests, it’s a way of providing power for electrical equipment through Ethernet cables – the same ones that already form the backbone of the IT network in your office.